Aditya Birla World Academy has been ranked THE No. 1 International School in South Mumbai & the 2nd best International School in Mumbai - Times of India, 2018 rankings. 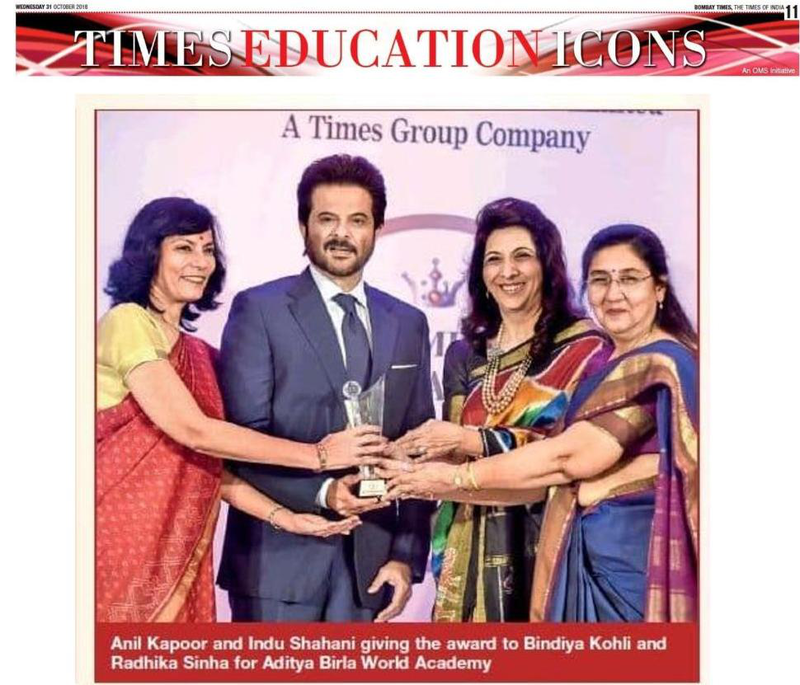 We are proud to inform you that Aditya Birla World Academy is ranked THE BEST International School in South Mumbai & the 2nd best International School in Mumbai, in the Times of India School Survey 2018 rankings.